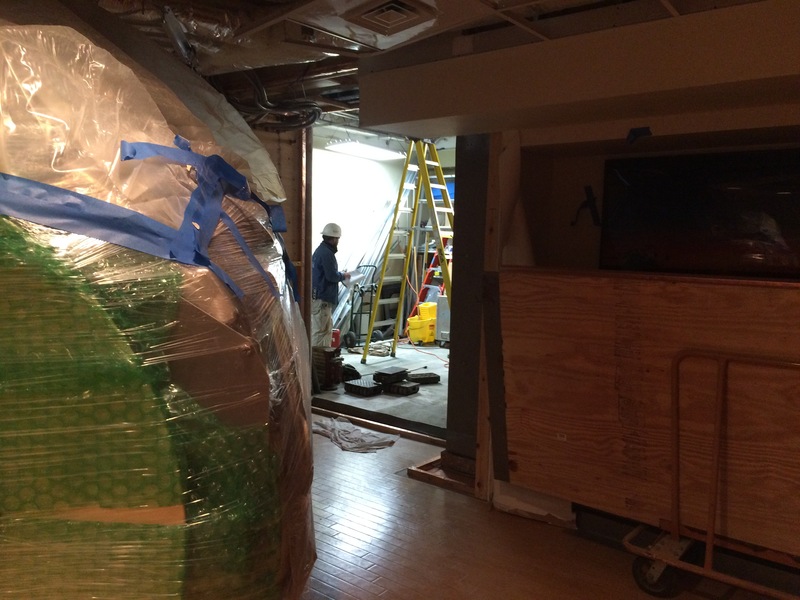 Health First Holmes Regional Medical Center MRI Renovation – RUSH, Inc. 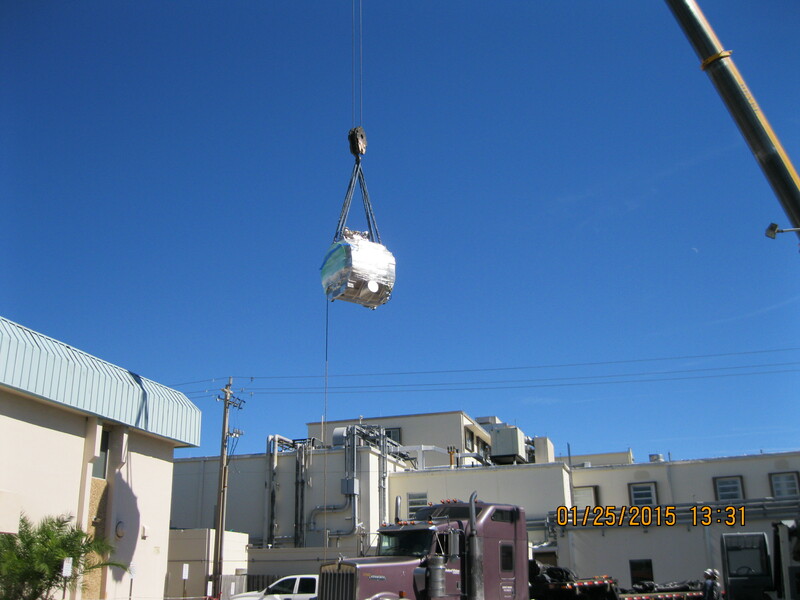 RUSH served as Design/Build Contractor for Heath First-HRMC MRI Renovation, Health First inquired with RUSH on how to get the 17,000 lb MRI Old Magnet out and the New Magnet into the Facility approximately 140 feet into the heart of the Hospital where the Imaging Department is located. The existing corridor was not an option with all the above ceiling obstacles that would have to be removed and re-installed creating a six (6) month down time for the department. 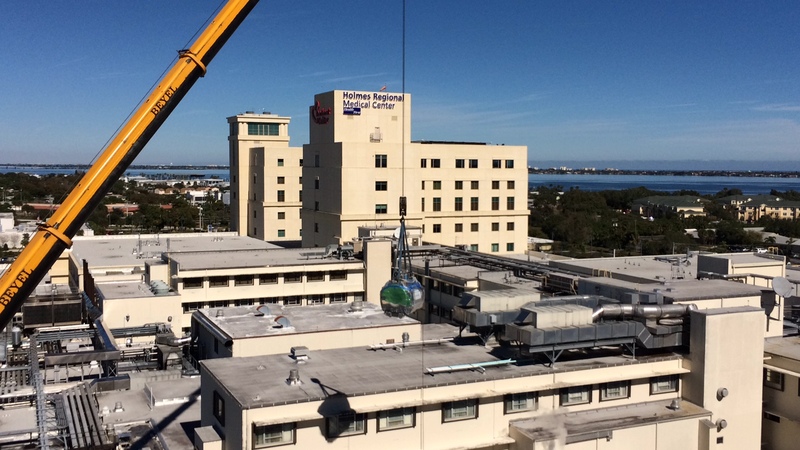 RUSH carefully examined the existing structure and as built documents of the Hospital resorting with a critical lift using a 250 ton crane from overhead. 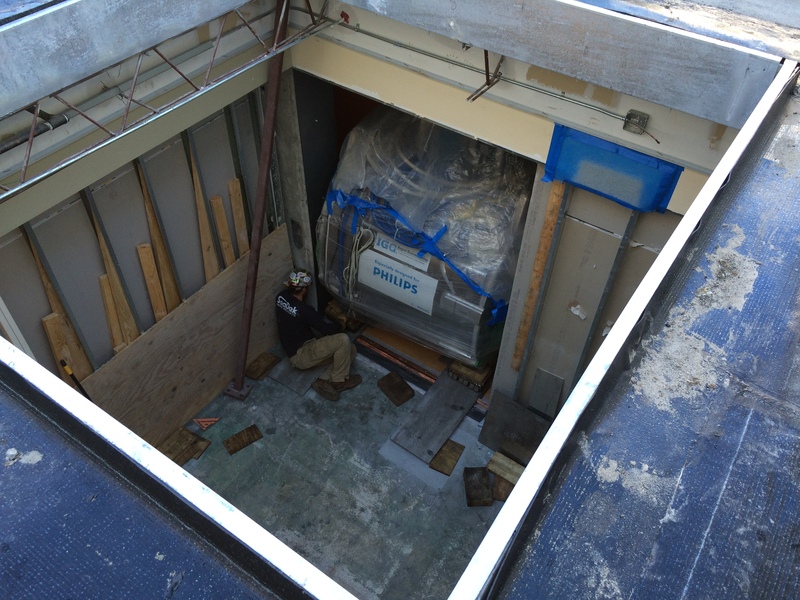 Remove the old Magnet and chiller and drop thru the access made opening in the roof in an adjacent area, removing a wall/shielding rolling the magnet to its final resting place. 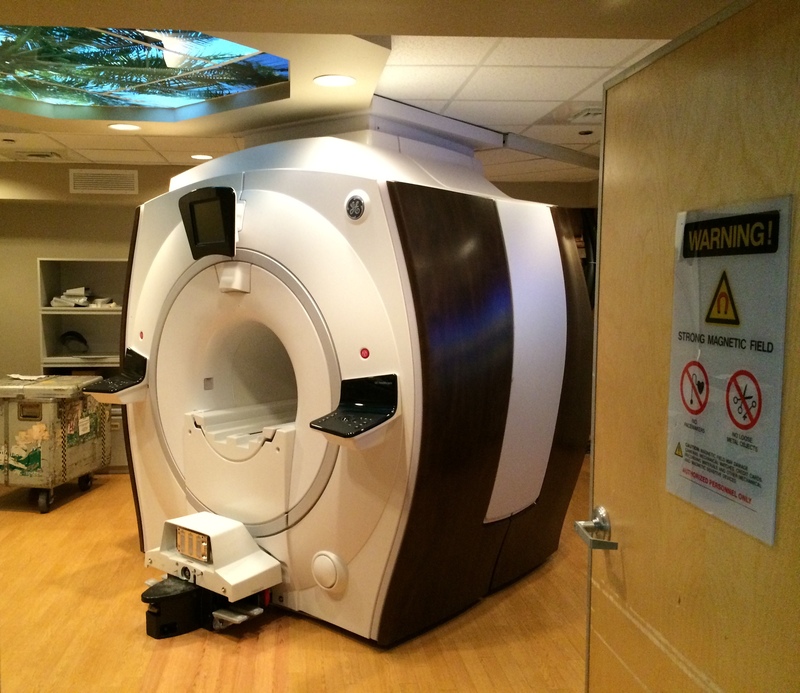 The room was then modified to accommodate the new equipment while getting ready for the AHCA 80% inspection. RUSH continued with what seemed an impossible schedule thru the Holiday Season to pass the 100% AHCA inspection on the 90th day leaving the Facility with only 1.5 days down time and cutting off five (5) months from an eight (8) month project to the three (3) months for the with little impact to the user/facility.